Do you remember the tree I drew on our whiteboard for Christmas? So do I. Good enough? Yes. Perfect? No. So, at our Cook Hall Christmas party tonight, I took the opportunity to create a new one. This one out of foam, buttons, sequins, silver balls, and a snowflake. 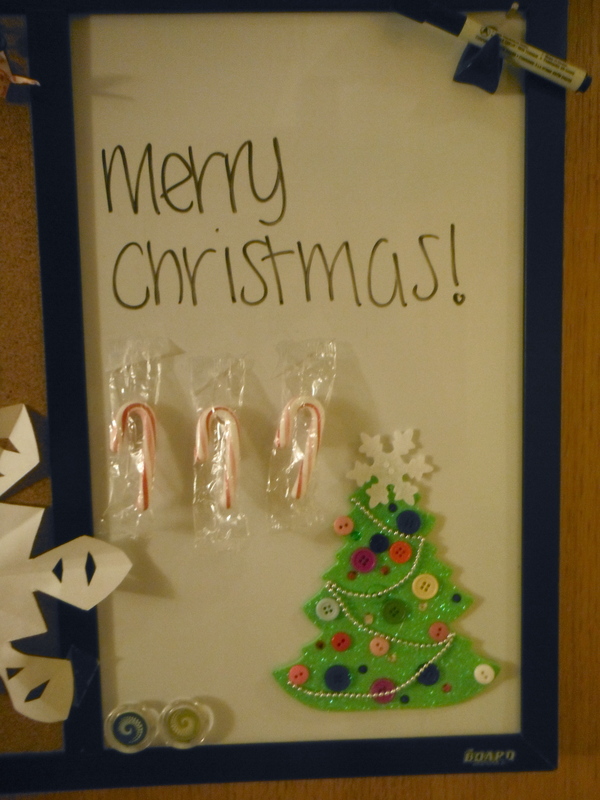 I just taped my new creation to the door after erasing the past one, rewrote “merry Christmas” and taped a few candy canes to the board. Much improved!